Many people make the mistake of thinking success is either lucky or there’s some magic mojo that is out of reach for them. Both personally and professionally, I’ve found that success is actually quite simple: it’s defining and following through on your standards for success. Let me share with you what has worked for me and how I apply these standards of success to my passion for project management. Your time is invaluable. You want to spend it where it matters most. That’s why when you learn, you want to make sure you move beyond the basics and transform your skills from awareness to mastery. It’s not just what you learn. It’s how you learn. 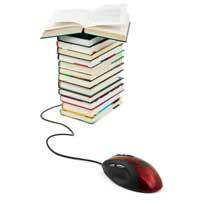 Today, it’s easy to get information: the internet, books, online articles, webinars. Information is everywhere, but the key question is: How do you retain the information you need and put it into action? Most courses can take you to the awareness and knowledge levels. They never improve your skills or help you attain mastery. 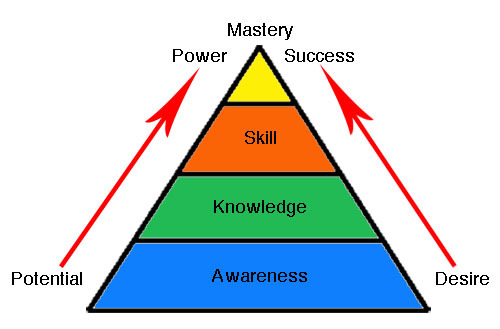 By applying the knowledge you have you can develop mastery and get consistently great results with your skills. If your learning stays at the awareness and knowledge levels, your career and your opportunities for success are limited. Success happens at the top of the pyramid with skill—the application of knowledge and mastery—the ability to consistently get results with your skills. Another standard for success is making the best use of your time. When you learn, you want to make sure every moment counts. Improves your retention and your ability to apply the new knowledge. Helps you quickly use what you’ve learned. Benefits every project you tackle—personally and professionally. Accelerated learning techniques were pioneered more than 40 years ago in the teaching of foreign languages. Since then, they have been applied to a wide variety of fields in business and in academia, as well as in the military to rapidly train people in a variety of areas. These techniques use a combination of teaching principles to make you comfortable and create an environment where participation leads to learning, almost without any conscious effort. An accelerated learning program is conducted as if the participants are playing a game and not actively engaged in a typical learning event. An accelerated learning environment is tightly scripted to ensure participants leave with a high level of competency. It is time to make sure your managers, peers and prospective employers see how you set the standard for those around you. Michelle LaBrosse (PMP) is one of the Project Management Institute's (PMI) 25 Most Influential Women in Project Management in the World and the founder of Cheetah Learning, a former PMI Professional Development Provider of the Year. She boasts a background in engineering and is a graduate of the Harvard Business School’s Owner President Managers (OPM) program, as well as a prolific writer and educator, having authored Cheetah Negotiations, Cheetah Project Management, Cheetah Know How and Cheetah Exam Prep as well as numerous articles in publications worldwide. Michelle LaBrosse has written 52 articles for us.